Gain control over your home again and let MMRG take care of all your mold remediation, mold testing and mold inspection needs. Featuring a team with decades of consulting experience, our staff is here to help you in anyway we can. Mold remediation is commonly done to eliminate risk. The risk of liability, litigation, a deteriorating home, and most importantly, the risks posed by the most common toxigenic molds. Also, since mold remediation in NJ is not regulated, you run the risk of hiring untrained, unethical, and inexperienced “mold contractors”. So please take your time and use this site as a resource. 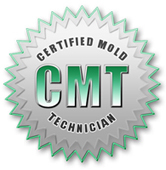 There are many circumstances where mold testing will not be required. Similarly, there are many circumstances where mold remediation will not have to be done. This is why we recommend getting multiple inspections, by multiple companies. 1) “How can I find unbiased information about mold testing / remediation if there are no federal regulations?” We have put together a resources page that you can find here. 2) “Do I need mold testing in my NJ home if I just want the mold removed immediately?” No, in most cases you do not! But there are certain cases where mold testing may need to be done. 3) “A mold remediation company quoted me a very high price for mold testing, am I being ripped off?” It depends, in this article, we outline industry standard rates and the costs for mold remediation in NJ. 4) “I am a real estate agent, not a NJ homeowner… will I be charged for a mold inspection?” Since we get lots of calls from real estate agents, we have put together a special page that you can find here. 5) “Will you work with our insurance company, or write us an estimate for mold remediation that we can show to our insurance company?” Since insurance fraud is very common in this industry, we have to be very selective with clients we choose to work with. You can find more information about this here.